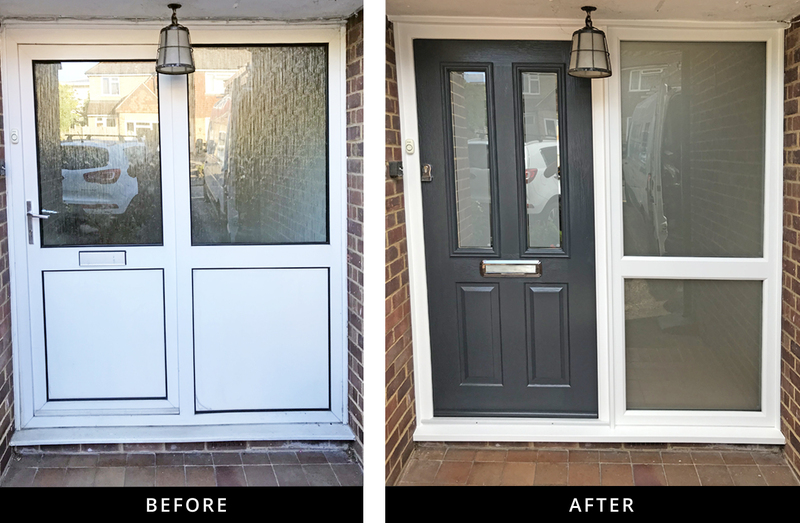 Before and after images of a Solidor Ludlow 2 composite front door and sidelight installed in a Guildford property. Anthracite out and white in with London etch border glass in door and chrome door furniture. your London etch border and the Victorian glass panel , is this clear glass. If not do you do a clear glass panel with bevel edge to fit your Ludlow 2 door.